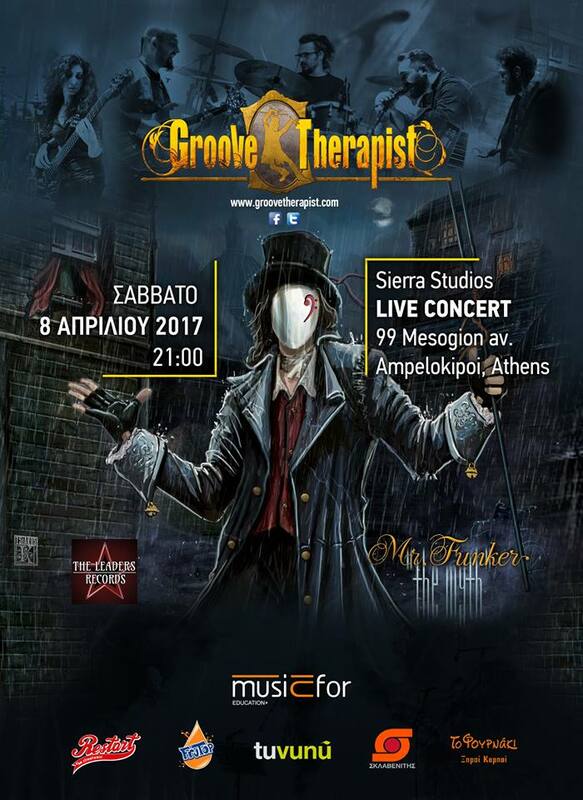 Groove Therapist invites you to a unique Studio Live Concert, at Sierra Studios, Athens! The group will performe their debut concept album "Mr. Funker The Myth" while live recording it, with presence of a limited audience. Open bar for all guests plus a cd / t-shirts give away! Informations and invitations/reservations: 213 033 0713 musicfor Korydallos 16:00 - 22:00 daily and Saturdays 10:00 - 16:00, groovetherapist@hotmail.com, and via inbox. Sponsorship of musicfor, Restart, Frutop, Tuvunu, Sklavenitis, To Fournaki.